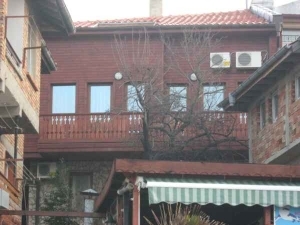 Hotels in Sozopol - Property in Bourgas, house in Bourgas, agricultural land for sale in Bulgaria. Cheap Bulgarian Property. Bulgarian property for sale – a house /family hotel/ located in the magnificent Sozopol in Bulgaria. Sozopol is one of the most famous seaside towns in Bulgarian Black sea coast. It is part of the Bourgas province. It is an administrative center of Sozopol municipality. The first name of the town was Apollonia. The town is one of the major seaside resorts in the country, known for the Apollonia art and film festival (which takes place in early September). The town of Sozopol is one of the oldest on Bulgarian Thrace’s Black Sea coast. Many anchors from the second and first millennium BC have been discovered in the town's bay, a proof of active shipping since ancient times. The town established itself as a trade and naval centre in the following centuries. The symbol of the town – the anchor, present on all coins minted by Apollonia since the sixth century BC, is proof of the importance of its maritime trade. The rich town soon became an important cultural centre. Sozopol is located 35 km from the city of Bourgas and the airport of Sarafovo. The capital city of Sofia is 416 km away. Now there is a new highway Bourgas-Sofia. The bottom is comparatively hollow, the sea is calm and the muted noise of the waives and the incredible view of the horizon and the sea turn the summer holiday into an inforgettable experience. Central beach of the town Sozopol - 18 220 sq. m.
The sand is from fine to medium grained, quartz predominantly. The beaches are mainly fed by washing out of terrigenic materials, primarily by quateernary, neogenic - intrusive, effusive metamorphous and sporadically core. All these beaches guarantee you’ll have plenty of opportunities to explore and have fun. Tourism is a structure determining branch with possibilities for informative, eco and ethno tourism, yacht-tourism, hunting, sports and all kind of water and underwater sports. House for sale located at the old town of the magnificent historical seaside resort of Sozopol. The property is a three-storey house with an attic floor located in a quiet street in the beautiful old part of the town. Now it is a working family hotel and provides four double rooms, an apartment and a mansard for two families with one bathroom. From the mansard floor is opening an amazing sea view to the nearby island. In each room comprises air conditioner, TV, mini fridge and a bathroom. There is a premise provident for a tavern. 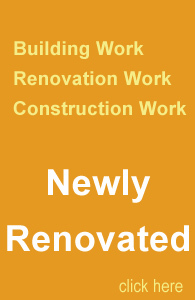 Fourth mansard floor: two rooms with one bathroom, premise for a boiler and self water system. You will enjoy here the peaceful, the beauty the historical spirit of the town and the lovely beaches in the region. 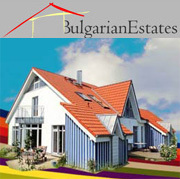 This house could be your home, your summer villa or you new business in Bulgaria, the choice is yours. Don’t be late and contact with us.